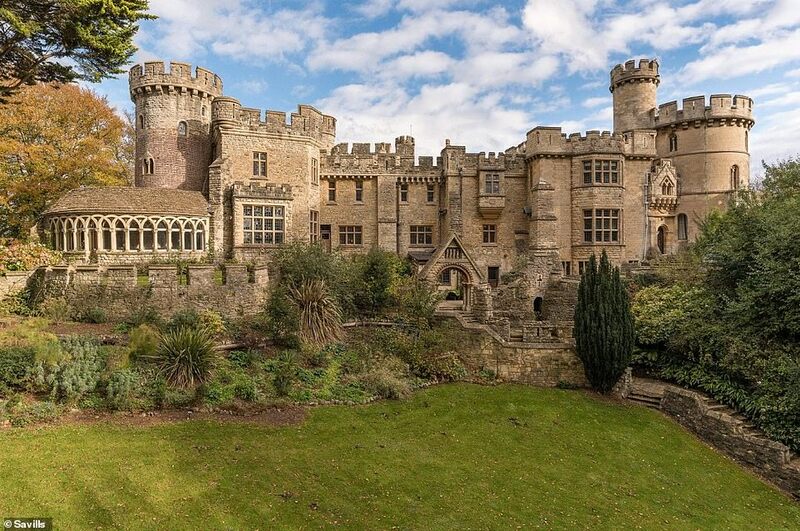 They were used by kings for hunting, and ladies for hosting lavish events – but now, castles could be owned by you after going on sale across the UK. From historic ruins to ready-made lodgings, castles once associated with the country’s most rich and famous are incredibly affordable. 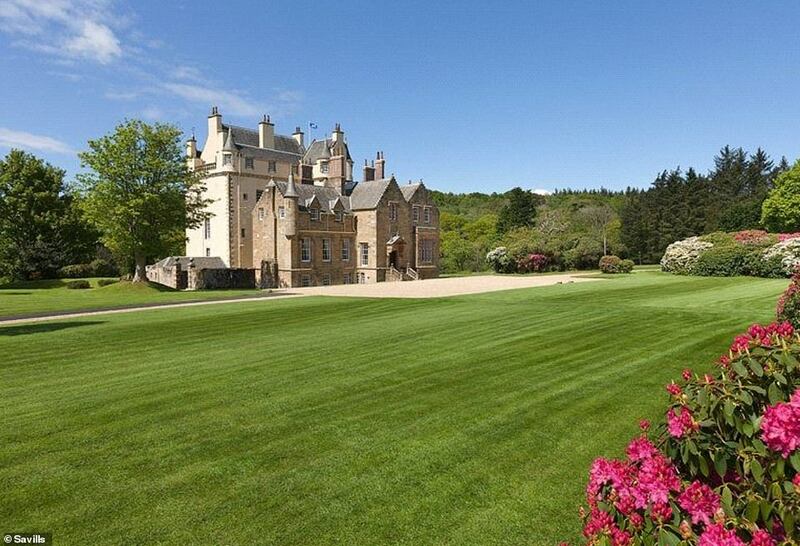 Prices start at £130,000 but range up into the millions for the incredible castles on the market. Most of the buildings are based in Scotland where rolling hills and lakes can be enjoyed by the new occupants. Features from open fireplaces to hidden staircases and portcullis doors are bound to wow buyers looking to make the move from an ordinary home to a resplendent residence. 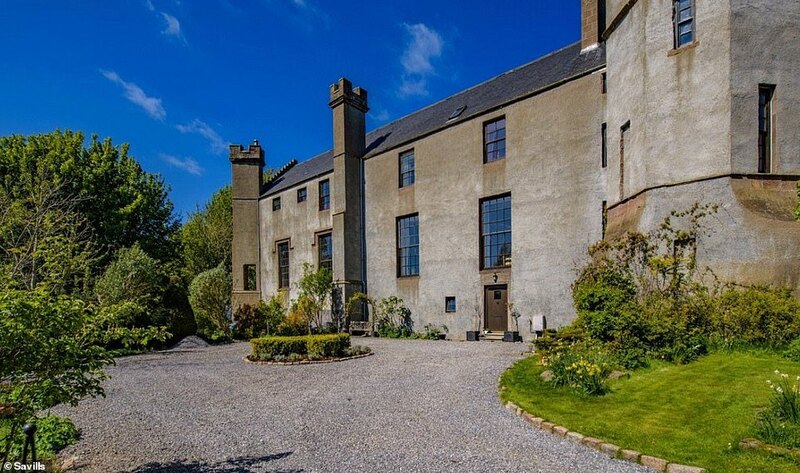 Among those on the market is Mains Castle in East Kilbride for £495,000 – less than a London flat – or the same as a three bedroom home in Birmingham. 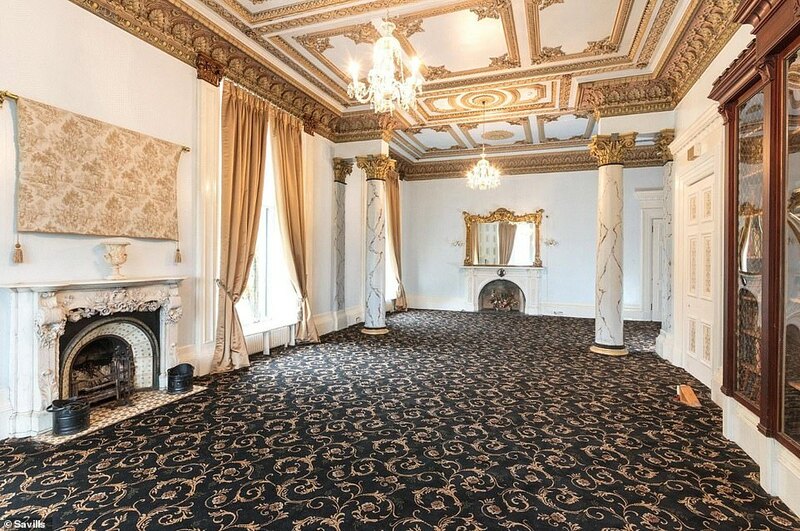 Many of the castles being marketed by Savills have drawing rooms, ballrooms and en-suite bedrooms and some date back to the Middle Age. 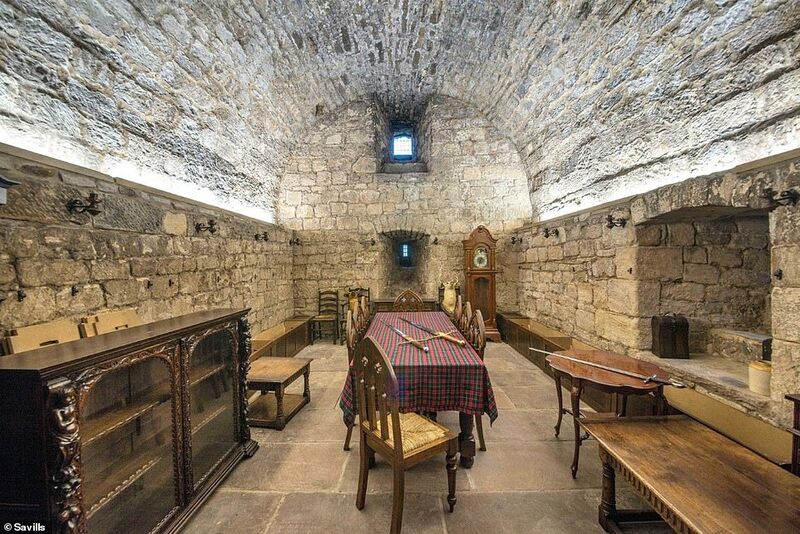 With a ballroom, a library and a portcullis door, this castle has everything a new owner could need to feel like a king. Overlooking the River Doon the five-floor building is a medieval dream with a hidden staircase, grand fireplaces and immaculate grounds. 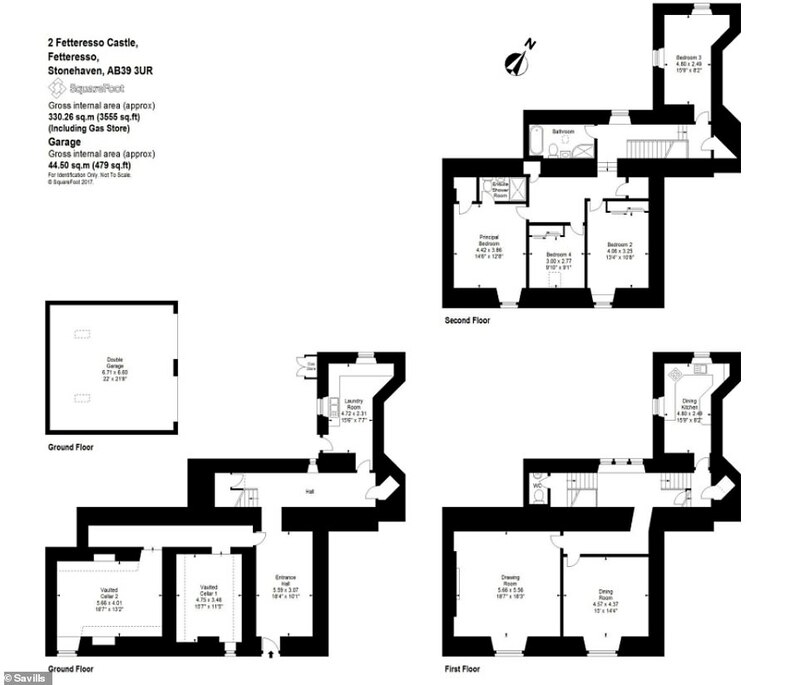 In all, there are currently thirteen bedrooms on various floors, in the Ayrshire castle, seven of which are en-suite. 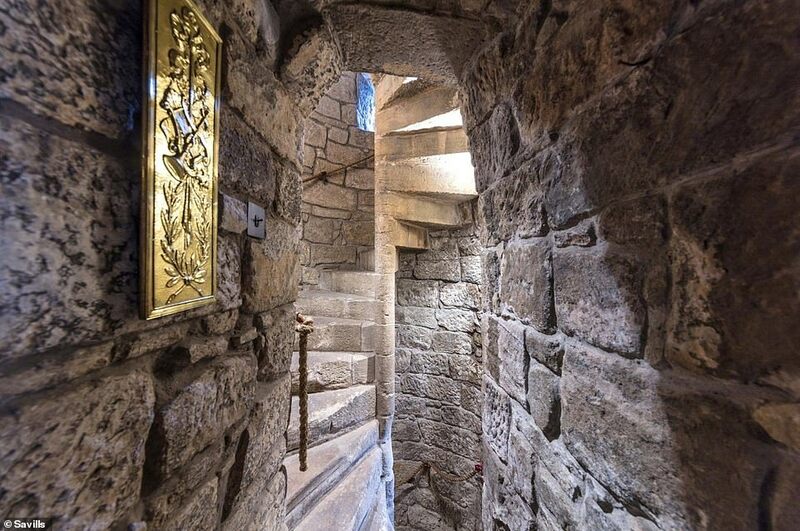 Through unusual arched passageways and original 15th century walls, and a secret staircase the stunning castle offers a window back in time. The spiral staircase is part of the original Keep of Cassillis, and is built clockwise to ensure an easy defence by a right-handed swordsman. 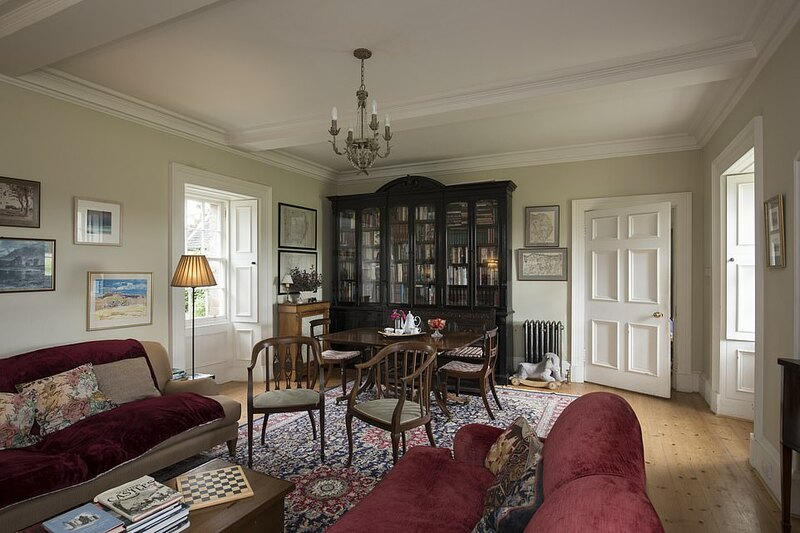 Steeped in history, the former home of the Earls of Cassillis provides a window back in time – but with plenty spaces to fulfill modern needs. In the basement, former store rooms have been remodelled to create an iPod controlled seven seater cinema room with fully reclining seats, surround sound, Sky HD television and projector screen. 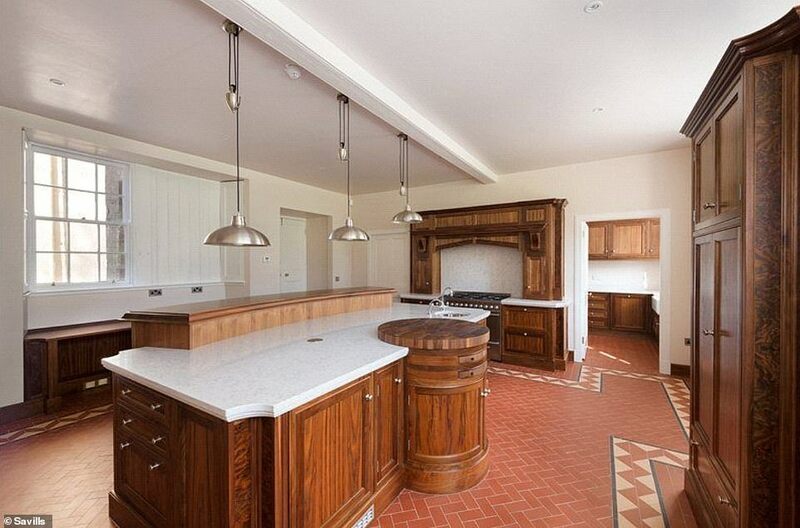 The two adjoining rooms provide an ideal space for a gymnasium and studio. 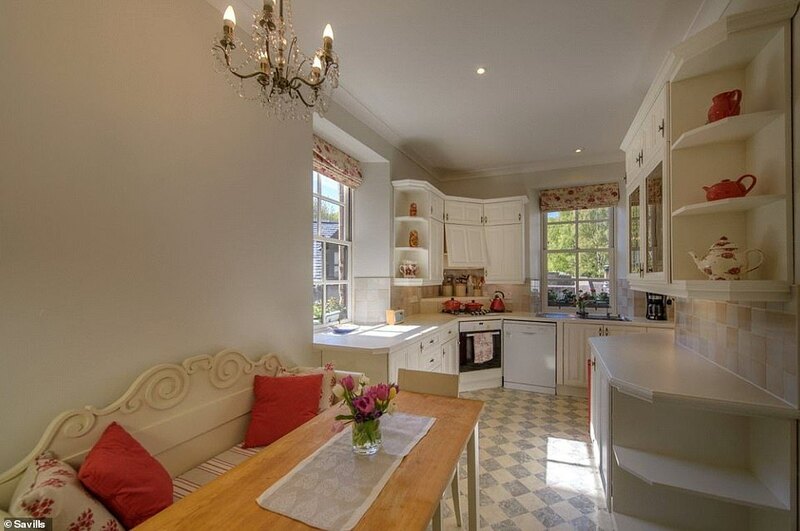 Across the passage are a well equipped laundry room and a wine cellar with vaulted ceiling. 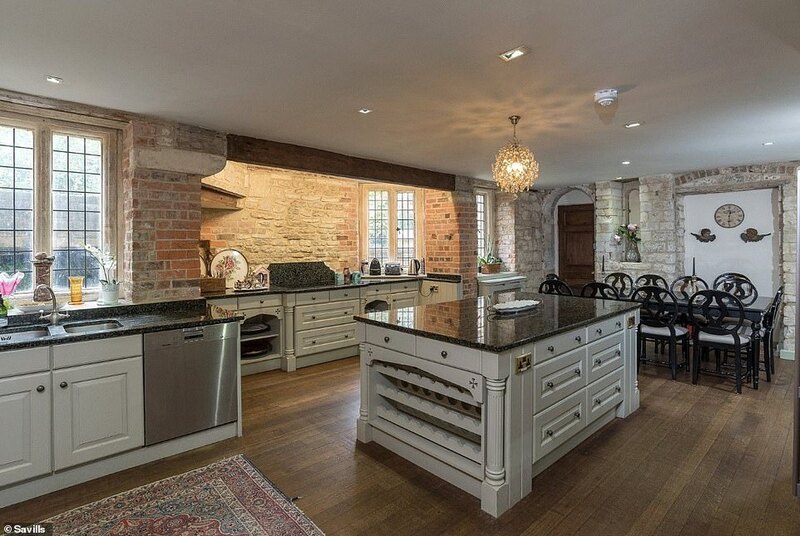 It also comes with three cottages on the grounds, a coach house and stable block and access to 1.8miles of river for fishing. 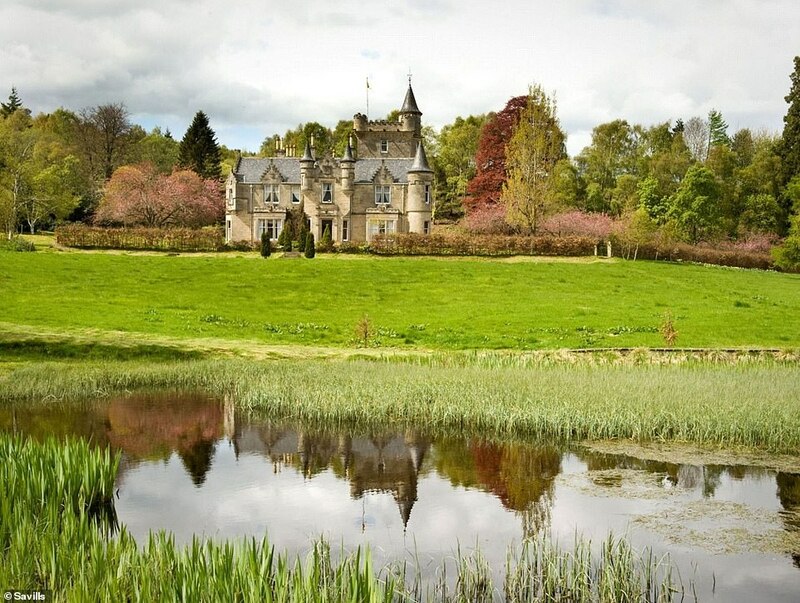 It has been labelled ‘Lanarkshire’s most romantic residence’ for its stunning views and historic interior but Mains Castle is also known for its survival against the odds. The battle-worn building withstood being fired on by Claverhouses Dragoons after the Battle of Bothwell Brig in 1679 and weathered the great storm of 1922. 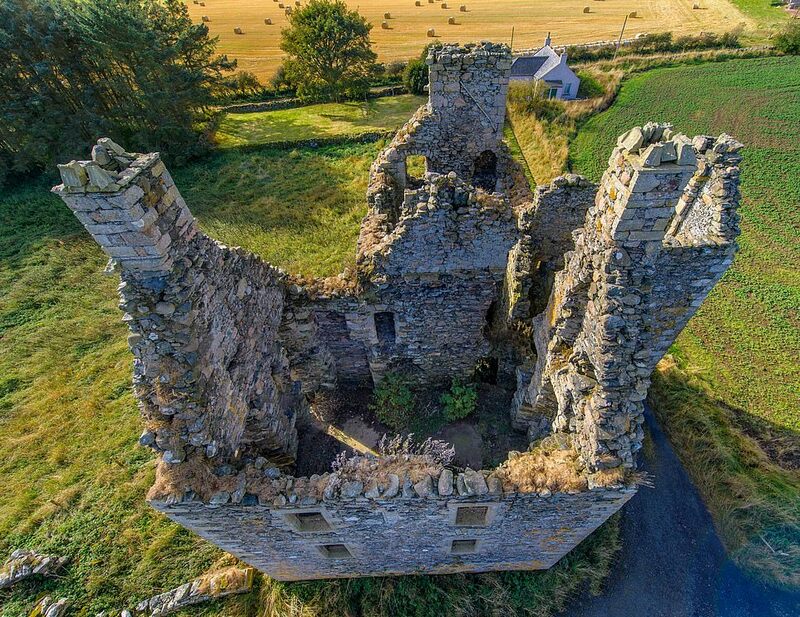 Despite the damage the four-bedroom castle was restored as a stunning residence before being named the winner of a Saltire award for its reconstruction and renovation. 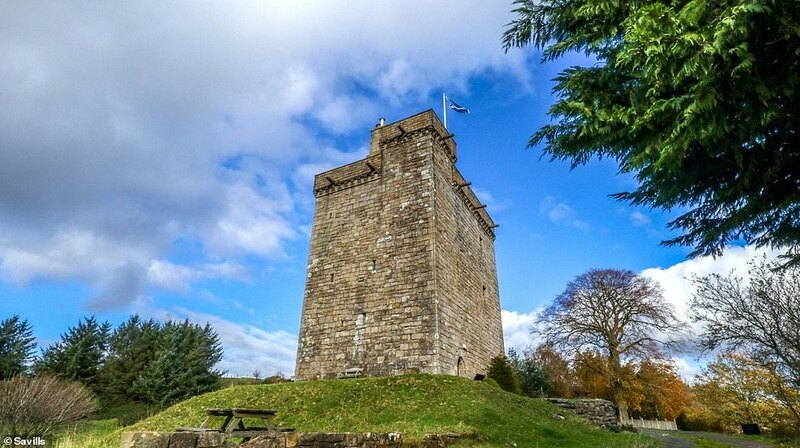 The 15th century keep, a Category A Listed tower house which once contained a pit prison, is believed to have been built on land gifted from Robert the Bruce. 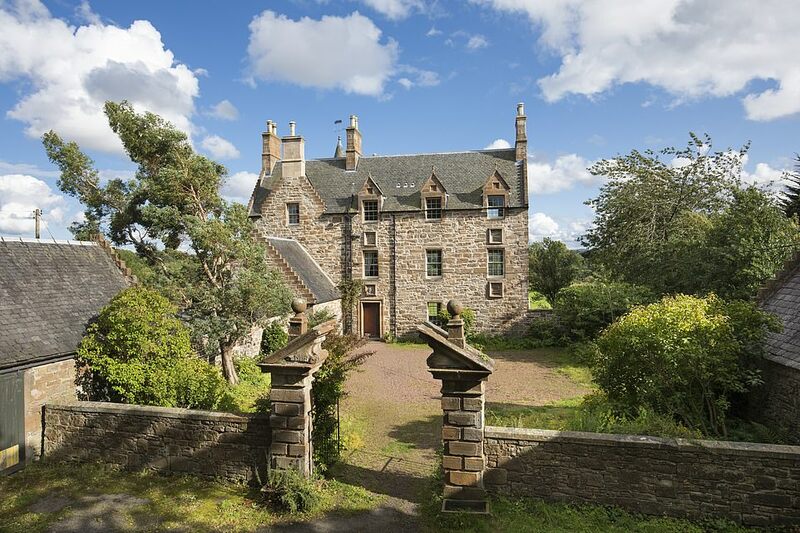 It was first occupied in 1478 when Princess Euphemia Stewart married David Lindsay who was the provost of Glasgow. 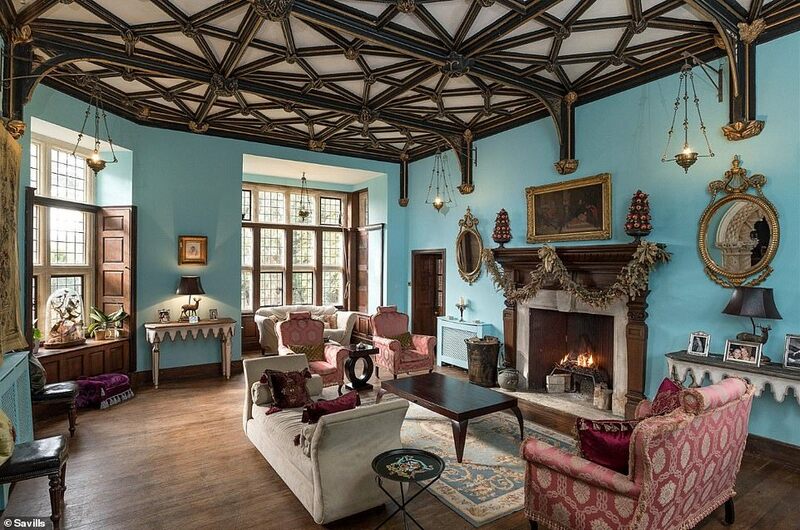 The castle has an original ladies’ quarters with an exquisite hand painted ceiling, as well as a banqueting hall and guardroom (now a bathroom). 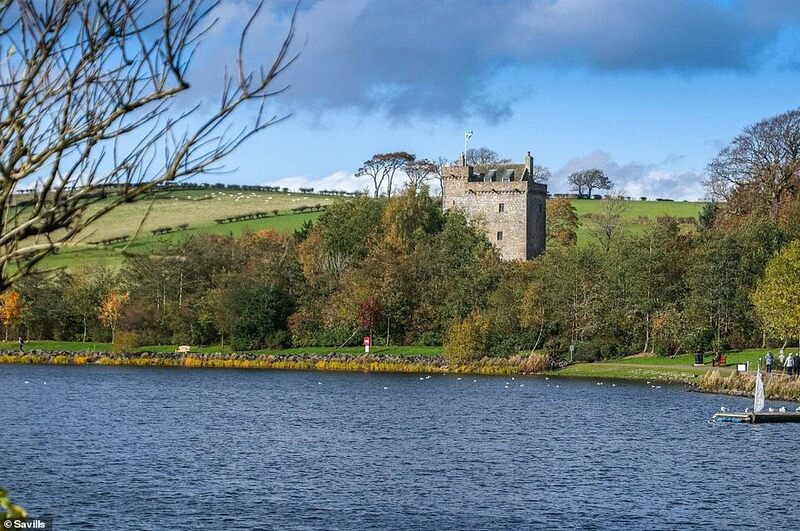 The Parapet allows access around all four sides of the castle, with splendid views of the surrounding 3.8 acres which border the northern bank of the James Hamilton Heritage Loch. The tower has five floors, The first two of which are enclosed in the stone barrel-vault, designed to protect the upper floors from fire attack at ground floor level. 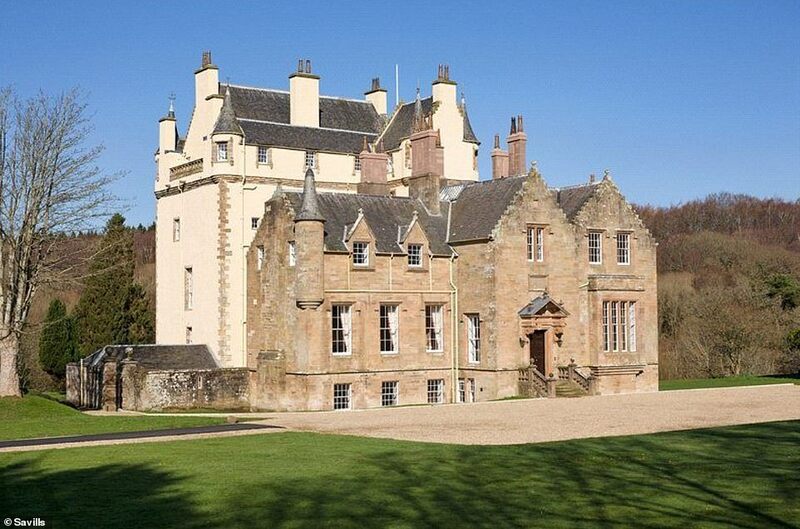 Illieston Castle on the edge of the River Almond was once visited by kings – but could soon be owned by you. The late 15th or early 16th century was once a Royal hunting seat of the kings of Scotland, James II and James IV, but it’s lands have been mentioned as far back as the 1200s. The elegant Illieston Castle in Broxburn, West Lothian, dates from the late 16th century and the grounds were frequented by the Stuart Kings of Scotland. Kings James II and James IV, both of whom came to the throne in the 15th century, would ride out from the magnificent Linlithgow Palace. Once owned by the Earl of Hopetoun, of nearby Hopetoun house, the property was altered in the 1850s by famed Scottish architect William Burn. It was then purchased in 1950 by the current owners who have used it as a private residence and, more recently, an Airbnb. 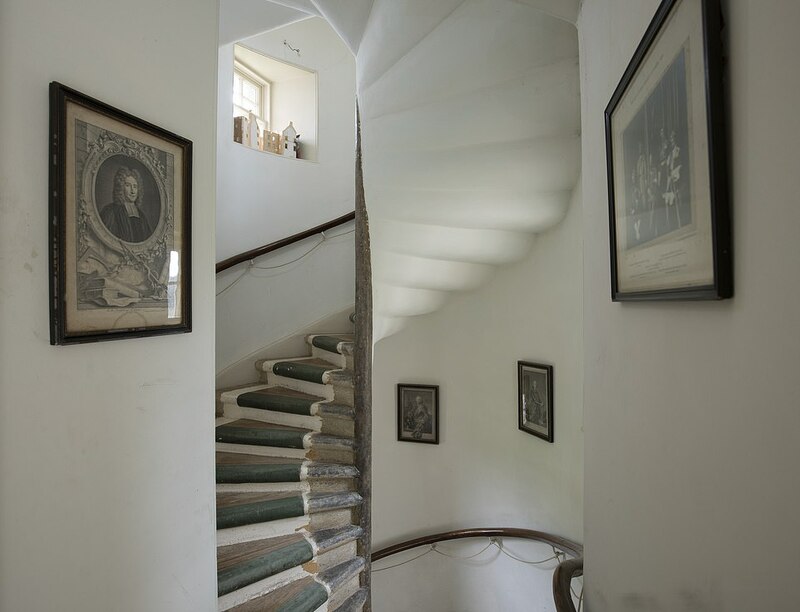 A stone spiral staircase is a spectacular feature, along with unspolied views of the countryside from The King’s Room. There is a secondary spiral staircase which leads up to a small turret room, currently used as a study and spare bedroom. A former shelter known as a ‘bothy’ transformed into separate accommodation sits outside the courtyard, along with a garden shed. Illieston Castle residents enjoy the right to fish of the River Almond, including salmon, trout and sea trout. 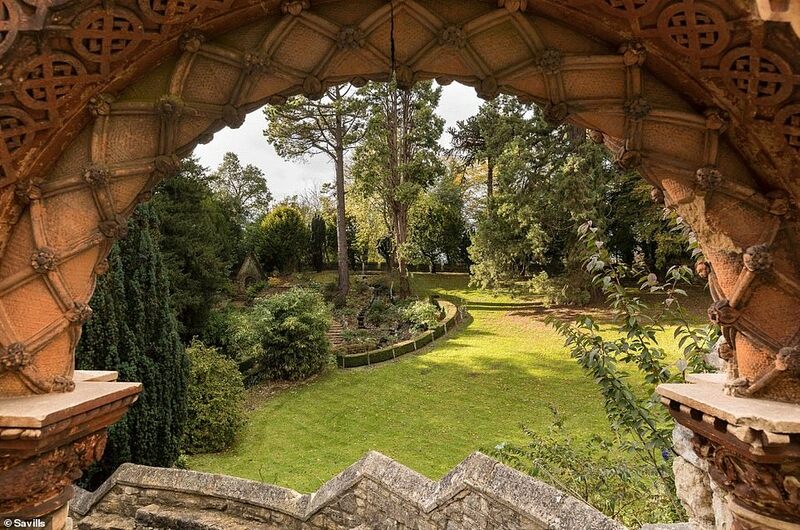 An unusual Victorian Gothic mansion is being sold with incredible, original details. 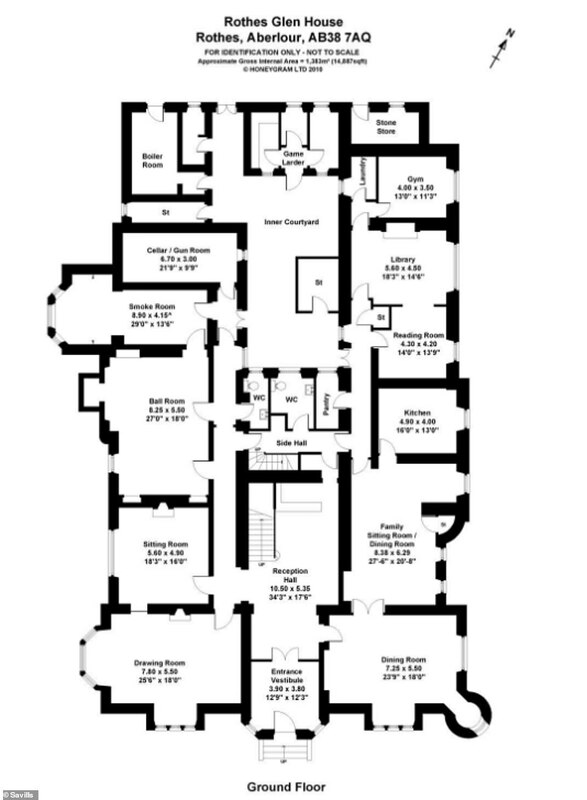 The 14-bedroom home in West Dunbartonshire, Scotland, has 9500 square ft of accommodation, a wine cellar, two tower rooms and a roof terrace on the fourth floor. The home, on land which was part of the Royal hunting ground of King Robert the Bruce, doubled up as the headquarters for the Royal Air Force in World War II and was later used as a nursing home. 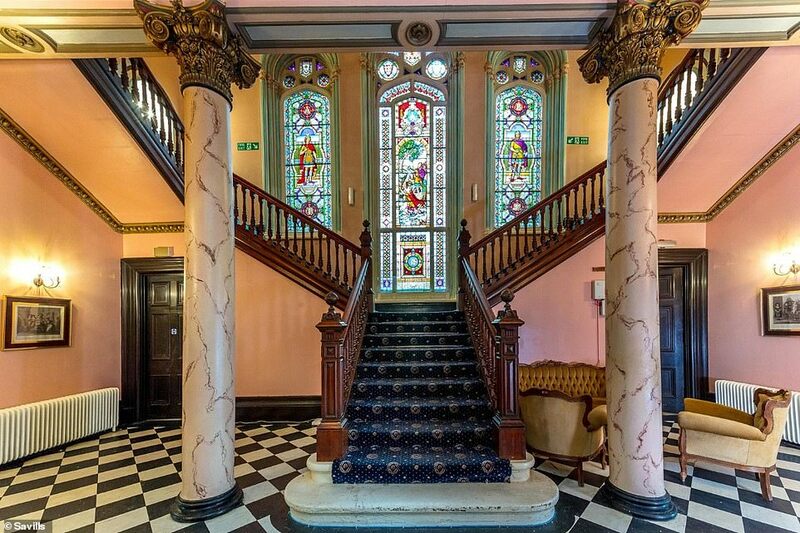 Corinthian columns, a hardwood imperial staircase and three beautiful round arched stained glass windows on the landing depicting Celtic mythological scenes give the castle a regal feel. 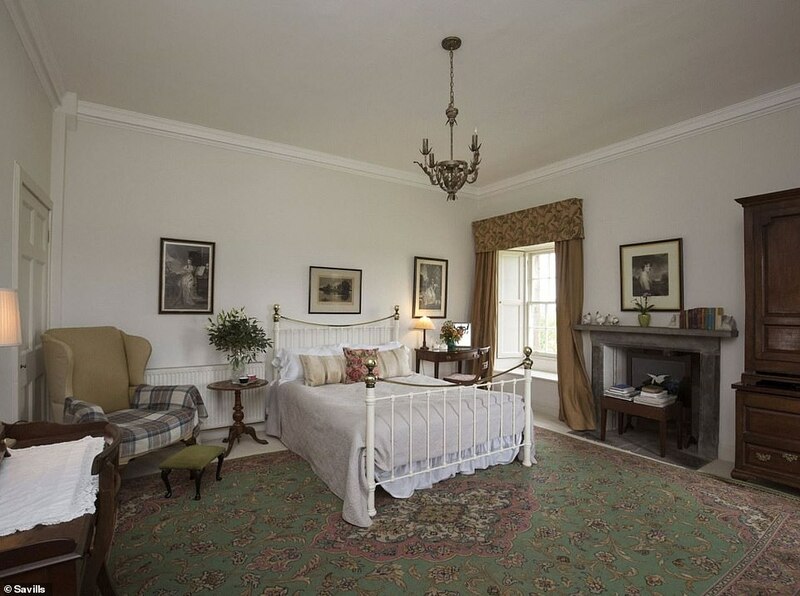 The owners will be able to enjoy a large drawing room, a study, a music room and formal dining room – as well as former stables which are now privately owned cottages. 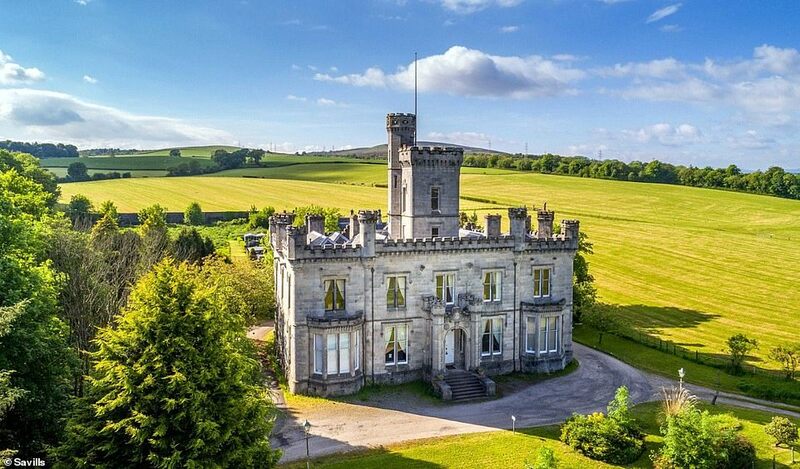 One castle which hasn’t quite kept the grandeur of its competitors is Knockhall Castle – but for the right buyer – it is a blank canvas. 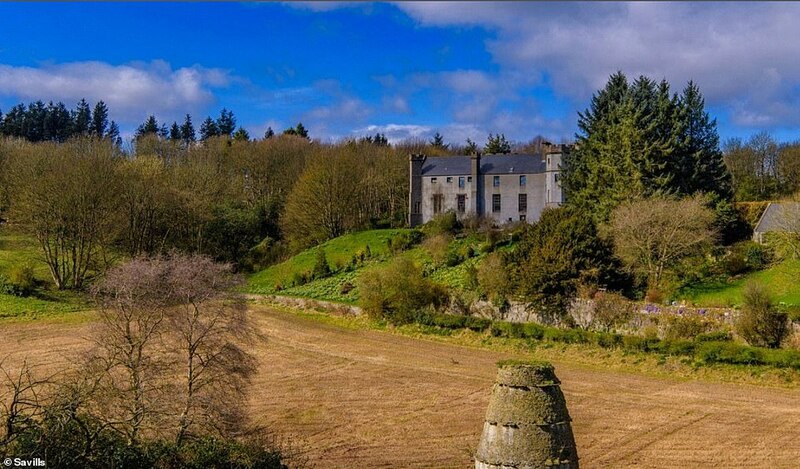 The remains in Foveran, in picturesque Newburgh, stand on the site of the castle believed to have been built in 1565. 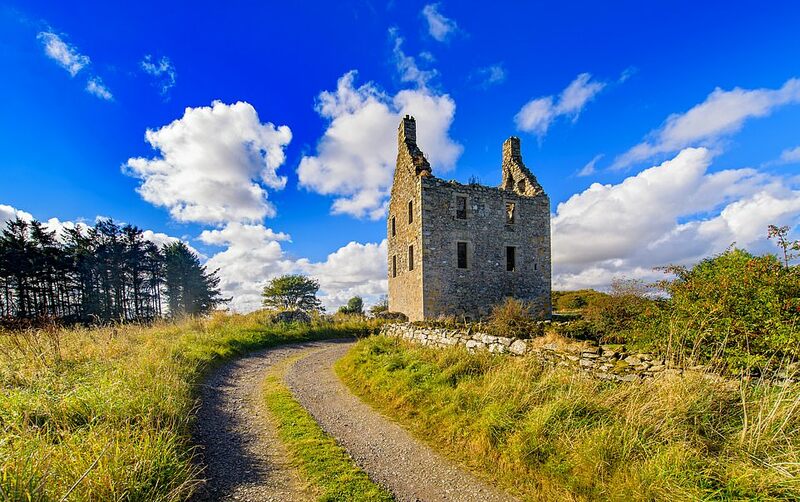 Fifteen miles from Aberdeen Airport and near to the River Ythan, the towerhouse will offer it’s new owners plenty of space to explore, while being easily accessible. The tower with three stories and an attic has undergone significant alteration, probably in the second quarter of the 17th century and has been externally stabilised for internal development. The earlier windows have a typical roll moulding of mid 16th century type, and some appear to have had gunloops in their sills. The basement is pierced by a number of wide-mouthed gunloops and the lintel of the door is inscribed with the date 1565. 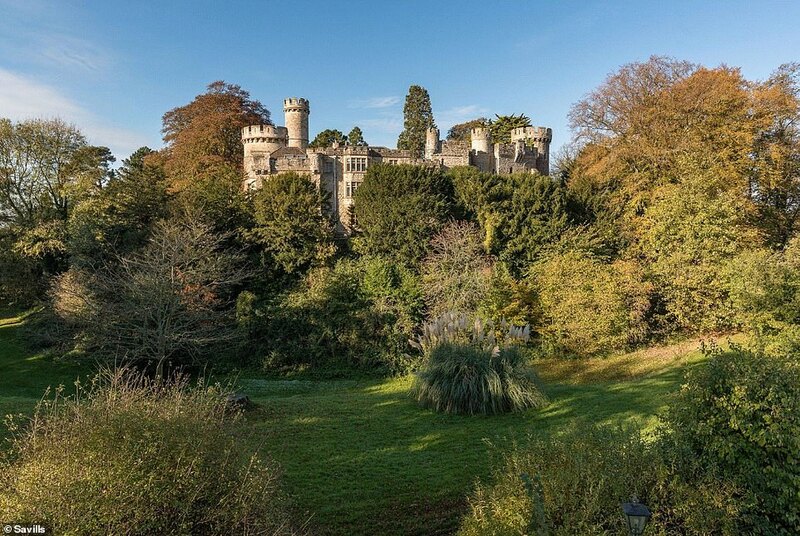 The stunning grounds of Fetteresso Castle are nestled among the rolling countryside and a woodland valley – and a slice of it could be yours for less than £500,000. 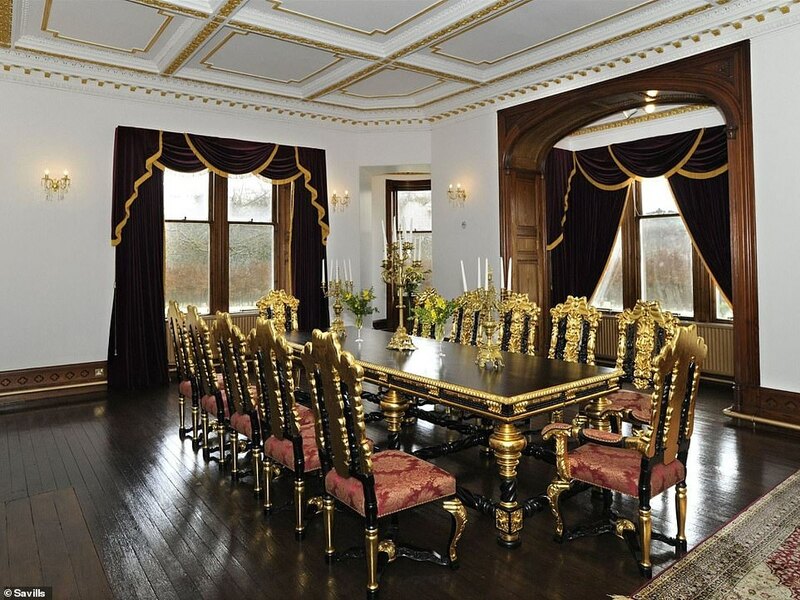 The South Range, once a grand ballroom in the castle has been transformed into a four-bedroom home. Current occupants of the castle carved into separate homes have formed a tight knit community. The welcoming reception hallway gives independent access to the original and historic vaulted cellars. South facing windows give glorious views of the associated land and there are twin aspect windows. Window seats and high ceilings give the occupants the opportunity to enjoy sunshine, as well as the south facing drawing room. Devizes Castle is a stunning Grade I listed building once the property of the Queens of England, including Henry VIII’s wives. Once destroyed in the 17th Century Civil War between King and Parliament, the castle enjoyed by Henry III and Edward I was rebuilt from the rubble in the 1830s. The magnificent features of the castle include a floor to ceiling stone, a banqueting room, a canopied fireplace and exceptional views of the grounds. 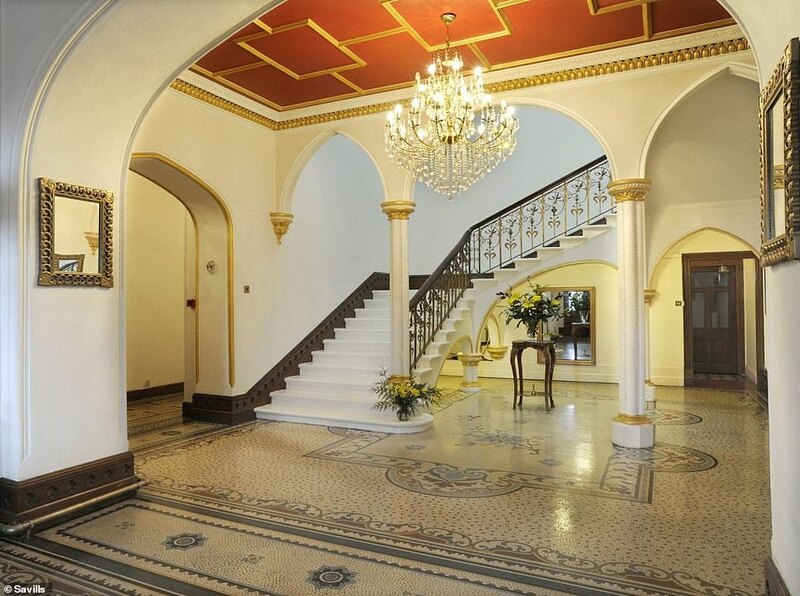 An exquisite wide wooden central staircase leads to long hallways and beautifully detailed stone archways, impressive fireplaces, oak floor boards, working shutters, high ceilings throughout, an unusual bowed Fernery with elegant wooden ceiling. In the library decorative bookcases line two walls while the rear garden provides for sheltered walks through important and interesting specimen trees, and in the en-suite for the master bedroom there are twin baths. 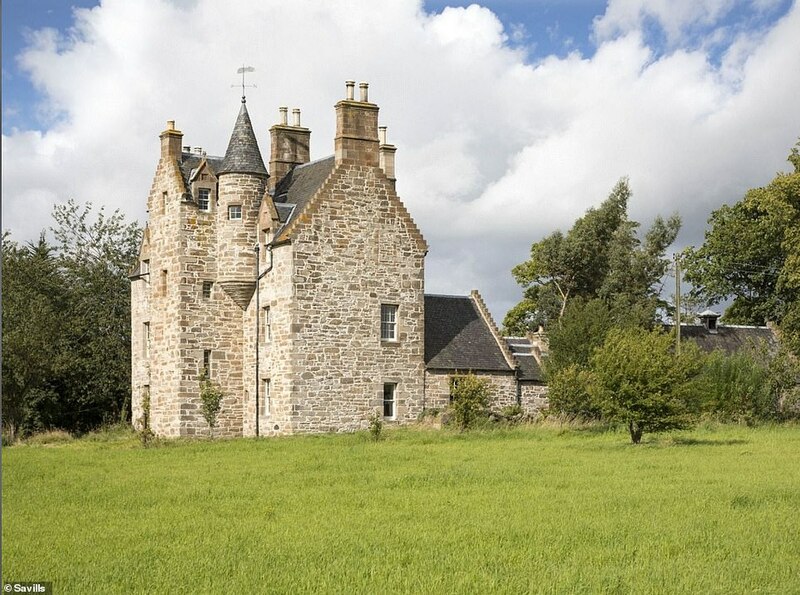 The restored Scots Baronial mansion, dominated by its square central tower, is perfectly situated in the countryside for peace and tranquility off the beaten track. Four-storey, Rothes Glen House has features only those in high society could have dreamed of having in their home – from a gun room, a ballroom and a smoking room to a rose garden. 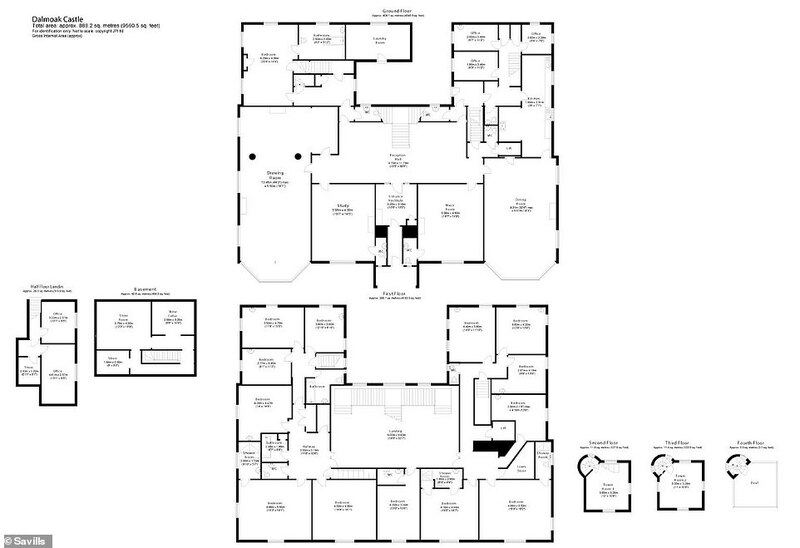 With eleven bedrooms and east and west wings the home has plenty of space for a family. Other features include a snooker room, a turnpike staircase, en-suite bedrooms and extensive and private grounds and gardens to be enjoyed by the new owners. At the back of the house is a nursery wing with a nursery, bathroom and playroom, together with a housekeeper’s store. Arranged off the inner courtyard are stores, a game larder with walk in fridge, flower room and boiler room housing an Hoval oil fired boiler. 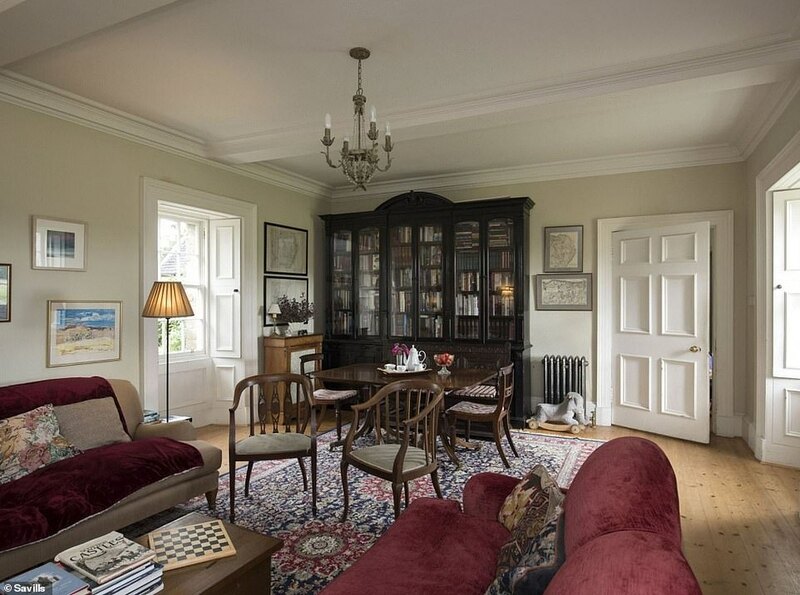 Property agent Ruaraidh Ogilvie said: ‘Rothes Glen is without a doubt one of the most exceptional private houses of this size that I have encountered.